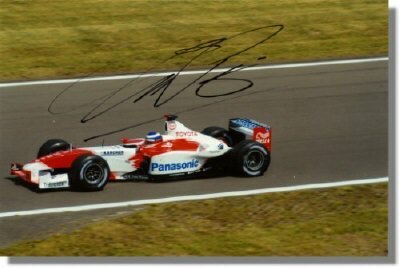 Olivier Panis signed Toyota F1 photo, 2003. A great photo of Olivier in his 2003 Toyota TF103. The photo was personally autographed by Olivier with a black marker. It measures approximately 18 x 13 cm or 7 x 5 inches.